While the merits of extending good will and warm regard for individuals of differing faiths have evolved to a “hopeful dialogue” at this juncture of planetary change, such progress in the religious and spiritual sectors is usually constrained and offset by the perennially insular practical needs that a particular organization carries for its own survival. Spreading (or at least keeping) its own faith is a simple matter of endurance, though often and unfortunately it bleeds away energies which might otherwise enliven the creative furthering of an organization’s own vision. Yes charity begins at home, and sure adherence to one’s tradition bears an important function, but a tradition needs to continually renew and develop if it wishes to remain fully alive. The same self-cherishing tendencies, of course, apply to most psychological movements and consciousness-raising programs as well. For all their intelligence and good works, they too tend to calcify within the business of their businesses, and the doctrine of their doctrines. One should not be surprised, therefore, by an almost universal undercurrent of stodgy, “ear wax” sermonettes all in the service of self-preservation and tradition. Truth be told, most spiritual entities and wisdom enterprises entertain unspoken desires for dominance (hush!) – that is, for becoming the preferred “superbridge” to the world’s great spiritual superhighway – it thus follows, quite logically, that each group in practice would be at best “hesitant,” if not a tad snarly, in its support of the hypothetical “top honor” were it given to any rival group (“OK boys and girls, pack your things — Quakerism is now the universal world practice”), especially if in so doing it meant cementing the quick and painful surcease of their own orders, schools, and doctrines. (Someone has to pay the bills, no?). Human nature being what it is, the politics of organized spirituality as seen on the “world stage” during the 21st century “transition” decade of the 90s was indeed a curious display to behold. The “dirty little secrets” (then and Now) behind ‘The Secret’, I sometimes call it. As case in point, a number of years ago I had the good fortune to travel to Chicago, Illinois, to attend the auspicious five-day Parliament of World Religions. This by all measures was to be an extraordinary spiritual bonanza, commemorating the 100th anniversary of the great Indian saint, Swami Vivekananda, and his epic journey to America in August of 1893 for the express purpose of initiating the first major “interfaith conference” in recorded history. The centennial celebration was truly a marvelous event to behold, with every emanation of guru, spiritual ambassador, captain of consciousness, priest and priestess imaginable. The colorful opening ceremony was a procession of Hindus, Buddhists, Native Americans, Sikhs, Jains, Moslems, Rastafarians, B’hais, Yorubans, and Zoroastrians, with women participating on a par with men, and, all in all, creating a truly overwhelming joyous feeling of global spiritual diversity and community. With more than five thousand attendees filling the luxurious ballrooms of the Palmer Hotel in downtown Chicago, we all were free to pick and choose various talks and instructions given by a virtual smorgasbord of “spiritual bridgemakers” at any given hour (it was worth surrendering your lunch ticket). At this crest of the Clinton Administration, the senior icons of higher spirit and consciousness, many avowed heroes and “rock stars” of the 1960’s Human Potentials Movement, now gathered for the triumphal occasion. Sublime vision was offered up from the renowned Korean Zen taskmaster Seung Sahn to the gentle Vietnamese Zen poet Thich Nat Hanh. Moral high ground was transmitted from the elegant leader of European Jewry in Sir Sigmund Sternberg to the feisty and controversial leader of African-American Muslims– Reverend Louis Farrakhan (replete with his small army of bodyguards). There were outstanding Christian monks, mystics, and clergy, as well as delegations from three of the largest Pagan organizations in North America. The Joseph Campbell Society was represented, Dr. Jean Houston was there, Arlo Guthrie (and his Brooklyn-born guru) were there, and Harvard professor John Mack, M.D. gave a chilling discussion of his UFO abduction research and theories regarding the interdependence of all beings, earthborn or otherwise. Yet for so impressive a mandala of spiritual diversity, I don’t believe any speaker throughout the entire affair once mentioned (with the possible exception of the Joseph Campbell group) the incomparable deck of human spiritual possibility itself, that is, the Tarot. As a practical map and instrument of The Great Work itself, I believe there is an important reason for its notable absence in this body: Tarot is not a religion, but a sacred tool. Nor is the Tarot a spiritual movement or a school of consciousness, but a catalyst of imagination and a creator (some may prefer inventor) of consciousness. As such, unfortunately, it carries no traction in the official (outer) world dialogue of spirit or consciousness. Perhaps some “infusion medicine” might have re-vitalized the competing enterprises of wisdom here? The Tarot, to this end, would be utilized as a gauge of vitality, a transpersonal thermometer of sorts. With its insertion into one of several small physical openings, the traditional thermometer, as we all know, is a diagnostic instrument designed to measure body temperature. Its feedback alerts one to a preliminary and non-specific assessment of multiple, simultaneous, and interrelated systems operating within the physical organism either in health or in sickness. Curiously, the thermometer’s scientific precursors, technical mechanics, components, internal structure, place of manufacture etc. are entirely secondary (if not irrelevant) to its function. Such technicalities are left to the physicians, producers, and distributors of the product. We just stick it in, pull it out, read it, and wash it (What? You didn’t know that? )– WITHOUT concern for these other irrelevancies. The thermometer’s utility nonetheless remains unrivalled in common medical practice. So too, we might say, is the Tarot. Its insertion too is placed in one of several small (meta) physical openings—say, a context of exhausted rationality, or perhaps the invocation of a higher power, or a moment of compelling uncertainty that calls out for deeper guidance. 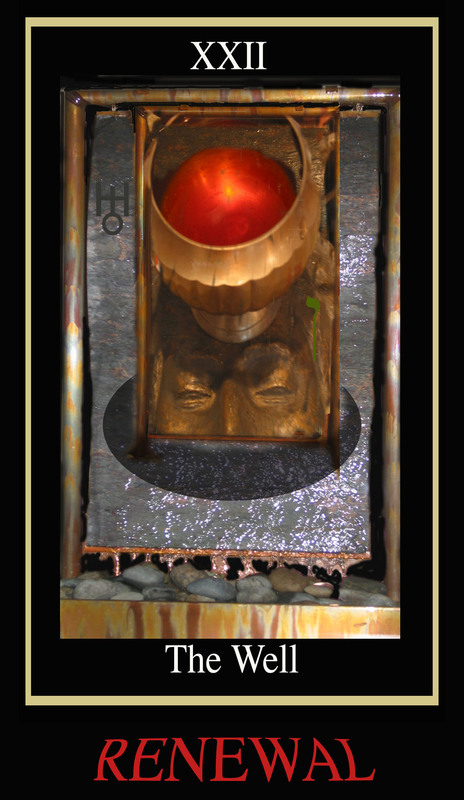 Similar to the thermometer, tarot’s feedback alerts one to a non-specific, generalized assessment of structures operating within the whole personality; and interestingly, unlike the thermometer, the Tarot can also be directed to specific systems and subsystems throughout multiple levels of experience, and is comparatively-speaking vastly more versatile. In terms of “spiritual” matters and organizations, a user my seek to determine, for instance, “Why am I not making spiritual progress after so many years of meditation?” Or perhaps “How can our tradition evolve within the emerging issues and insights of the day?” Or “How can this religion become more experiential and relevant to bright individuals?” Invariably, the cards will point to a unique, multi-layered, set of inter-relationships supplying a complex web of fresh information, ideas, new combinations etc. for introspection as well as corrective action. As a scion of symbolism, Tarot operates multi-dimensionally from a purely non-affiliated platform in the truest sense. This means anyone can join it, and return to where they are otherwise more traditionally comfortable, yet I believe “improved” by the experience. Tarot is ‘foundationless’ with respect to adherence and fealty to the embedded beliefs of any particular tradition. In the political debates of religion, for instance, liberals and conservatives alike may claim its arcane workings put to the service of their own partisan agendas, but Tarot’s own “vote” always remains within the structure of its apolitical governance. As simply an instrument, or as I prefer, a sacred tool, the Tarot functions as a spiritual thermometer—a measuring stick of psychospiritual health and an early alert signal to The Great Work itself. 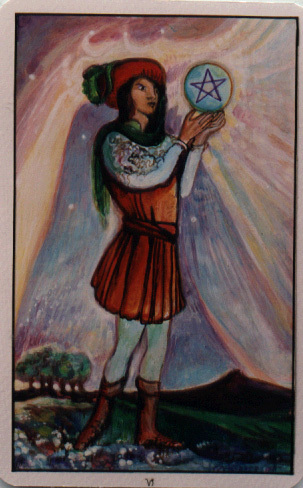 I daresay, once past the psychotheocratic resistance (if such were possible) known to tatter the woven seams of many religious and psycho-spiritual mantles, that Tarot’s tremendous versatility and universality would serve as a natural and creative aid to each and every established school of spirituality, psychology, and consciousness. Are tools of imagination and barometers of the perennial philosophy no longer needed by such groups? I certainly hope not. Unless any spiritual, religious, or psychological school grows irreparably stale or stultified within its own dogma and tradition, it, like all organisms, must continue to adapt and evolve to the changing demands of each age. As a simple matter of common sense, the closer an organization is to the lived heartbeat of its constituents, the more likely its survival. And neither should this fact be lost on Tarot itself; to the contrary, Tarot must continue to creatively use its own wisdom and method upon itself in order to accommodate to the changing demands of this age and the next. 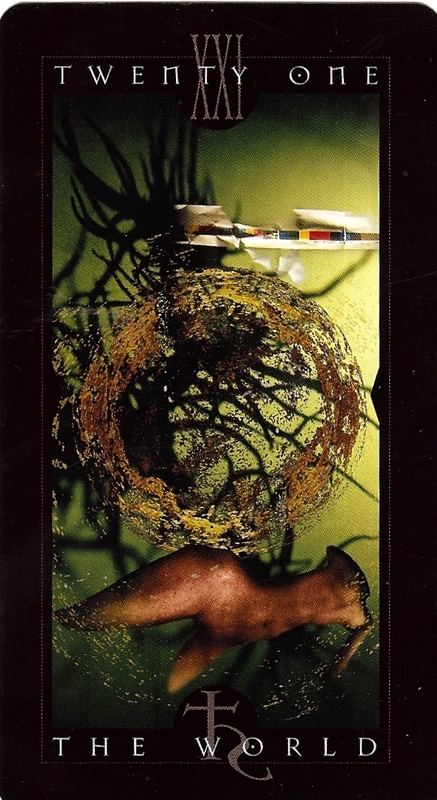 Unlike the movements represented at the Parliament of World Religions, Tarot’s potential utility is equally relevant to the corporate manager, the research scientist, the professional athlete, the abstract artist, the elementary school teacher, the single mother, the politician, and the mental health worker, to name a few. This is because Tarot is an ingenious instrument in many ways like a thermometer: it points us to a direction of inner vision, a hidden side of events, a timeless wisdom. Extremely handy things, I should think, for all and any who wish to expand and deepen perspective and awareness. Specific applications are secondary in Tarot, though, personally, I would find no difficulty envisioning at the Parliament’s 200 Year Anniversary (come 2093) a assemblage of 21st century transformational healers and teachers where the praises of Tarot, and other sacred tools like it, are acknowledged for their creative catalyzing effects which have served their own organization’s development immeasurably. Dr. Art Rosengarten is the author of TAROT AND PSYCHOLOGY: SPECTRUMS OF POSSIBILITY and owner moderator of the Yahoo discussion group: taropsych He is a featured expert/author in the just released metaphysical documentary, THE GREAT WORK produced by Chance Gardner and Vanese McNeill.